Effective as of October 1, 2018. View more information. Effective as of June 1st, 2018. 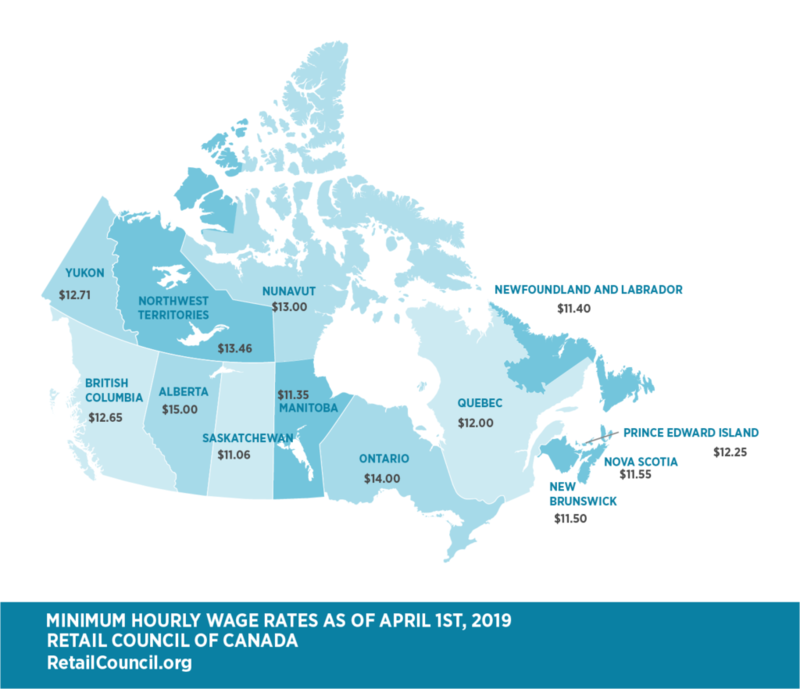 The government has announced that the minimum wage will further rise to at least $13.85 on June 1st, 2019, to $14.60 on June 1st, 2020 and to at least $15.20 on June 1st, 2021. View more information. Effective as of October 1, 2018. On October 1, 2019 the minimum wage will rise to $11.65. View more information. Effective as of April 1, 2019. The minimum wage is adjusted annually on April 1 relative to the Consumer Price Index. View more information. Effective as of April 1, 2019. View more information. Effective as of April 1, 2018. The regulation does not specify that there must be an annual increase. View more information. Effective as of April 1, 2019. The minimum wage for inexperienced employees is $11.05 per hour. In 2020 and 2021 the minimum wage will increase by about 55 cents each year, calculated based on a 30-cent increase plus inflation, which is projected to be 25 cents over the next three years. Starting April 1, 2022, the rate will be adjusted annually with inflation. View more information. Effective as of April 1, 2016. The minimum wage is reviewed annually on April 1. View more information. Effective as of January 1, 2018. Starting in 2020, the minimum wage rates may increase annually on October 1 of each year. View more information. Effective as of May 1, 2018. The government has announced that the minimum wage will increase by 50 cents to $12.50 on May 1, 2019. View more information. Effective as of October 1, 2018. The minimum wage is adjusted on October 1 of each year relative to the Consumer Price Index. View more information. Effective as of April 1, 2019. The minimum wage is adjusted on April 1 of each year relative to the Consumer Price Index. View more information.